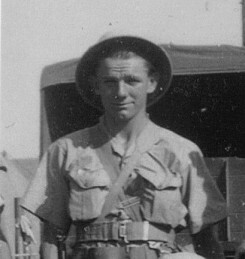 Born in East Zorra Township, William Lawson was working for Angus McKay on Lot 25, Concession 8, when he enlisted with the Embro detachment of the Oxford Rifles. He trained in Embro and London. After the war, he married Ruth Shewan, and in 1955 they bought the property at 76 John St., Embro.